Some of the agencies and donors involved in supporting and running these programmes are not only critically aware of these gaps but are starting to support the work to close them. This is the backdrop to a recent Knowledge Management Fund (KMF) supported workshop - hosted jointly by Mercy Corps’ Jordan and Lebanon country offices and ISDC - International Security and Development Center - in The Hague. The motivation of this workshop was clear from the start. The time for talking about knowledge gaps is over. The time for developing the approaches to overcome them has begun. On one level, closing these gaps seems like a rather straightforward process, involving decent M&E, advanced learning and impact evaluation. Yet, it is one that is prone to particular difficulties. Layers of definitional complexity must be overcome even before one gets to the meaty stuff of data collection in the complex environments that necessitate employment for stability programming. What stability is, precisely, is an important question to ask because without providing a meaningful answer it is next to impossible to measure let alone to understand how it might respond to an employment programme (or, indeed, any other type of intervention). To some, stability should be viewed almost like a biological system. That is, a system is stable given a particular state of nature, where there is little reason to believe that said state will change drastically. In effect, stability is akin to what economists call an equilibrium. 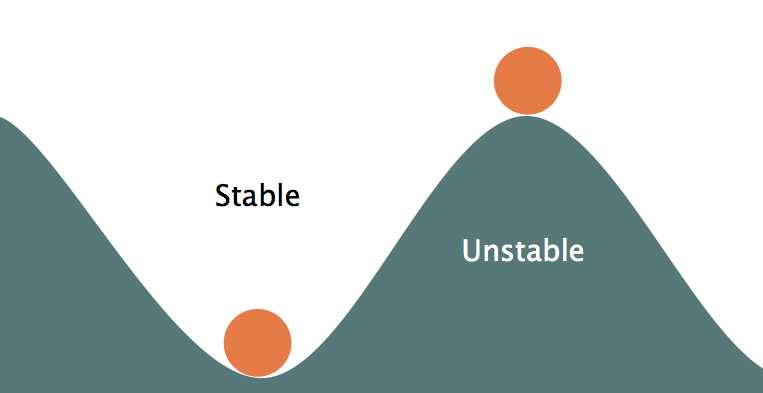 Yet when it comes to the kinds of things that are, politically, implied when a term like “stability” is used, some apparently stable equilibria are probably just as undesirable as unstable ones... In this view, “stability” may actually be a very poor term. Or, perhaps more accurately, a catch-all euphemism for what its users view as desirable environments. Put another way, it would seem that when we ask if employment programmes can build stability, what we actually ask is whether or not they work towards creating some desirable state of nature. In turn, what matters, perhaps more than anything, is the context and the aims of the programme itself. What might really lie at the heart of the question, “can this employment programme build stability?” is, then, whether or not that intervention can affect positive changes in the behaviour of those who benefit from them. Precisely what constitutes a positive behavioural change is, however, itself context specific. In an openly violent situation, it might relate to engagement in conflict; in other situations, it may be related to willingness to engage in other antisocial behaviours, like criminal activity; and in the specific situation of Jordan and, perhaps even more so, Lebanon it may relate to the interactions between individuals and groups, given the unique crises faced there. Considered in this way, the requirement for more specific aims than catch-all terms is obvious. Programmes like those we will study are unlikely ever to be large enough to lead to the general state or equilibrium changes that might, in natural sciences, constitute stability. Rather, the focus should be on how that programme might, at the individual level, contribute to the behaviours that underpin these “better” states of nature. This requires donors and agencies to spell out what they hope to achieve (outside of standard employment impacts) from a particular programme; to be realistic about the extent of these aims; and to state both how employment programmes can induce this behavioural change and how such changes link to the creation of those more desirable environments. In the case of Jordan and Lebanon, that appears to be improved relationships between displaced and host communities. Psychologists, in particular, have developed some good ideas about how to measure those relationships and changes in them. Economists have become increasingly good at applying these ideas to impact evaluation. Looking forward, these methodologies will be the heart of the joint work by Mercy Corps and ISDC. At the same time, whilst such approaches might well work in Lebanon and Jordan, it is less clear how applicable they are to other “unstable” situations. Experimentally measuring biases in the interactions between groups is one thing; measuring latent willingness to engage in violence quite another.